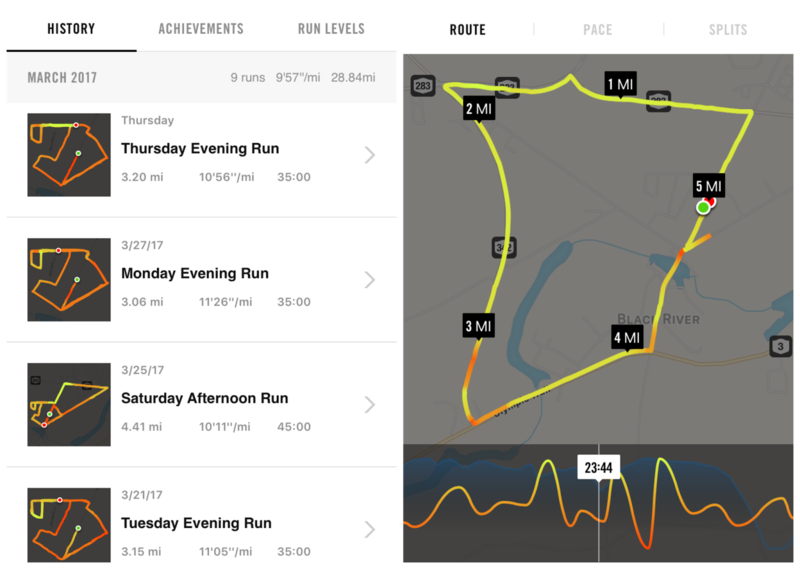 March was another tricky running month for me. Between Porter getting kicked out of daycare, the DONSAs on post and Danny’s recovery, I was lucky I found any time at all, really, to run. That said, I’m excited that I’ve really turned a corner because my first race is coming up at the end of this month. I’m running the NJ Half Marathon on Sunday, April 30th by the shore. It’s a flat course, and I’m hopeful for a great run! Despite all the challenges, I managed to start kicking things into gear at the end of the month, which made for a great start to April. In March, I managed to get a disappointing 9 runs, but it was still a month of a tiny bit of volume, so it’s better than nothing. My neighbor, Emily, and I made the decision to sign up for the Lake Placid half marathon on June 11th, so that’s another race to train for this year. I’ve done it before, and the course is absolutely beautiful – but really hard! We booked a nice hotel room in town this time, so we’ll be prepared for a great race. Also, it’s April 4th, and I’ve already done 2 runs this month, so I think we’re cooking with gas. Fellow runners…how did you do?